Since its creation in 1960, Revelations has consistently enraptured audiences all over the world with its perfect blend of reverent grace and spiritual elation. Alvin Ailey’s signature masterpiece pays homage to and reflects the cultural heritage of the African-American, which Ailey considered one of America’s richest treasures – “sometimes sorrowful, sometimes jubilant, but always hopeful.” Choreographed when he was only 29 years old, Revelations is an intimate reflection inspired by childhood memories of attending services at Mount Olive Baptist Church in Texas, and by the work of writers James Baldwin and Langston Hughes. Set to a suite of traditional spirituals, Revelations explores the emotional spectrum of the human condition, from the deepest of grief to the holiest joy. A classic tribute to the resolve and determination of a people, the ballet has been seen by more people around the world than any other modern work. 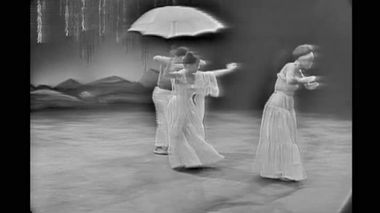 The ballet premiered at the 92nd Street YM-YWHA on January 31, 1960, and has since been performed a countless number of times all over the world. It was part of Opening Ceremonies of the 1968 Olympics, and has been presented at the White House on numerous occasions, including at the inaugurations of Jimmy Carter and Bill Clinton. The piece has had many film and television broadcasts, its first, the 1962 CBS special Lamp Under my Feet. It is also the framework for Revelations: An Interdisciplinary Approach, a residency program that has been implemented in public schools around the country, and uses Ailey’s signature work as an organizing theme for a comprehensive, in-depth study of language arts, social studies and dance. 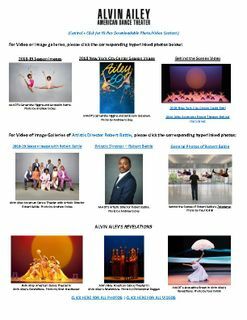 Alvin Ailey American Dance Theater, recognized by U.S. Congress as “a vital American cultural ambassador to the world,” returns to Paris, Basel, five German cities, and Copenhagen to perform 15 ballets from July 4 – September 10. The Paris engagement (July 4 – 22) kicks off the tour, and marks the debut dance performance at La Seine Musicale, a new state of the art concert hall on an island in the Seine River, which opened in April 2017. 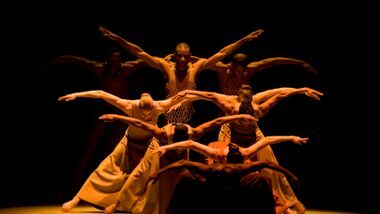 It's very telling that, even at 60, Alvin Ailey American Dance Theater continues to break new ground. As part of its annual visit to Atlanta's Fox Theatre, the company is presenting its first ever two-part ballet, "Lazarus," in honor of the company's 60th anniversary season. 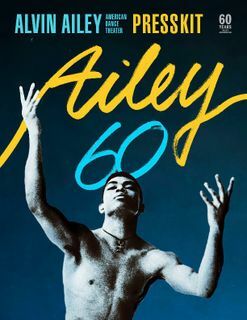 In the sun-soaked foyer of Atlanta's National Center for Civil and Human Rights, a tall, lean young man guided about 40 dance students last month as they learned an excerpt from Alvin Ailey's masterpiece Revelations. 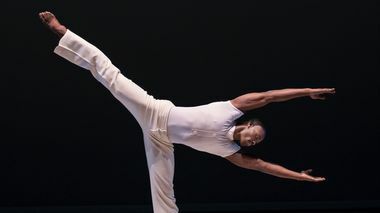 Christopher R. Wilson, a native of Augusta, Georgia, and a first-year member of the Alvin Ailey American Dance Theater, moved with ease and elegance between lines of young dancers, calling directions in a voice that matched the choreography's rhythm and cadence. The New York City-based Alvin Ailey Dance Theater held a public workshop Wednesday night, giving local dancers across South Florida a chance to learn some of the company's iconic choreography.